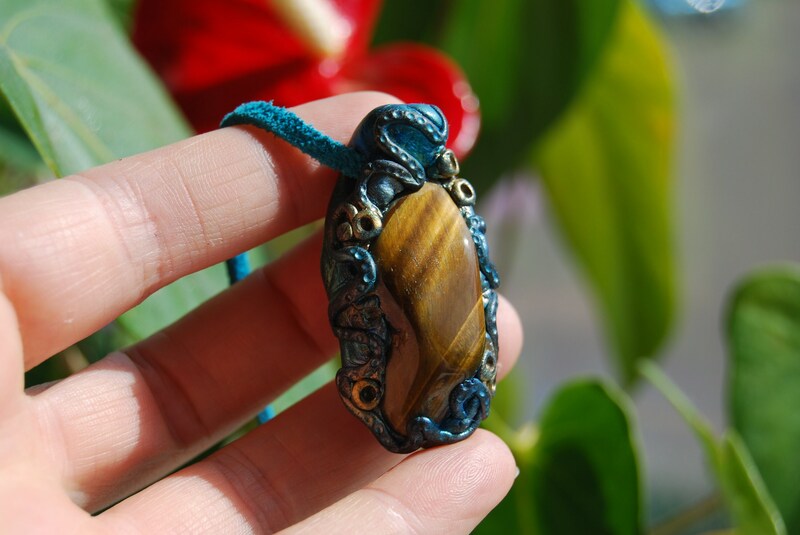 Tiger's Eye Pendant, Handsculpted Clay Gemstone, Unique Unisex - FREE Shipping ! 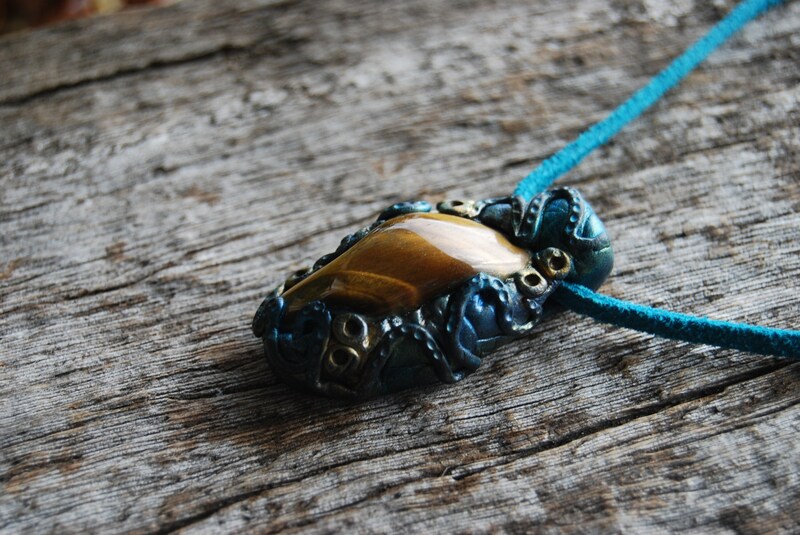 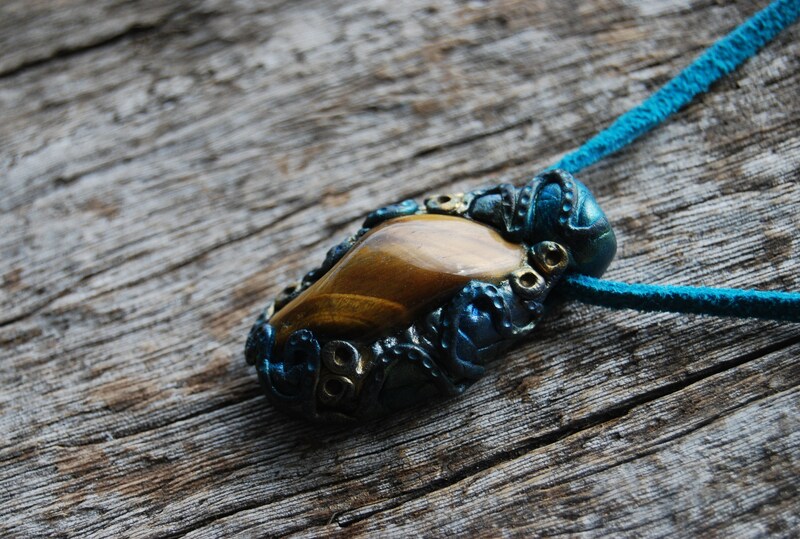 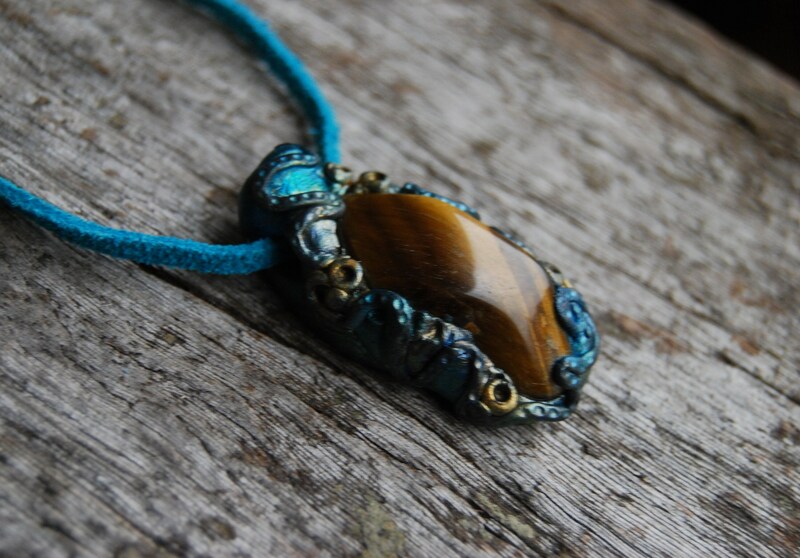 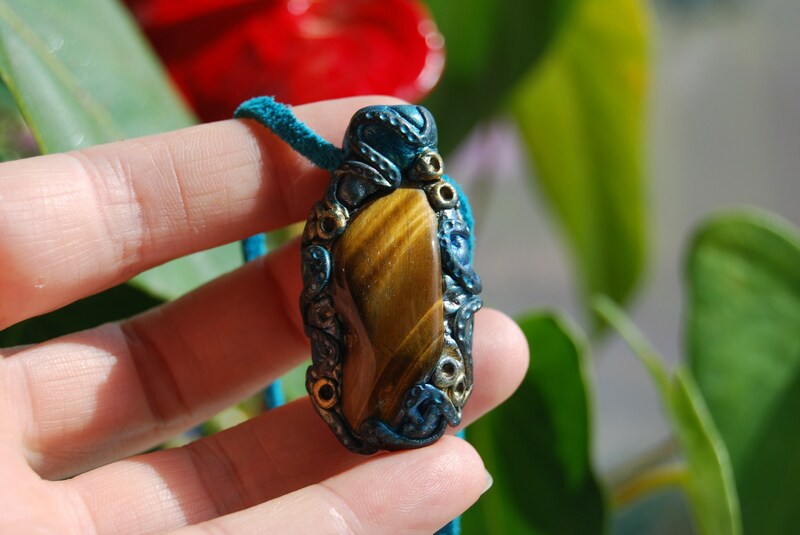 This is a unique Tiger Eye gemstone pendant in an handsculpted durable clay setting. 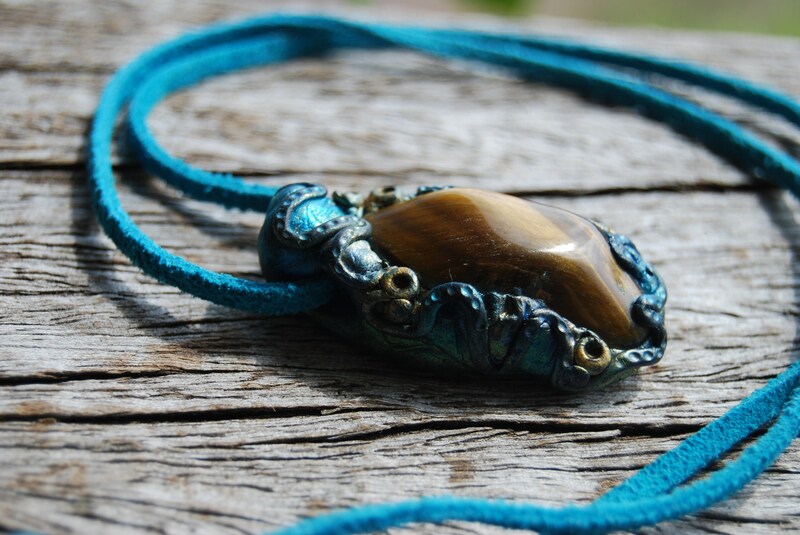 Made with quality clay so it's durable and very strong. 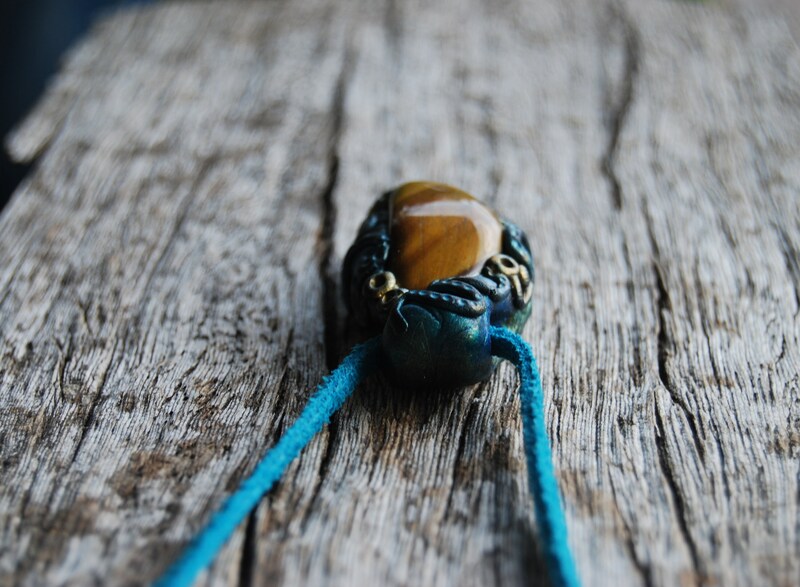 The stone is extra secured with a metal wire inside the clay. 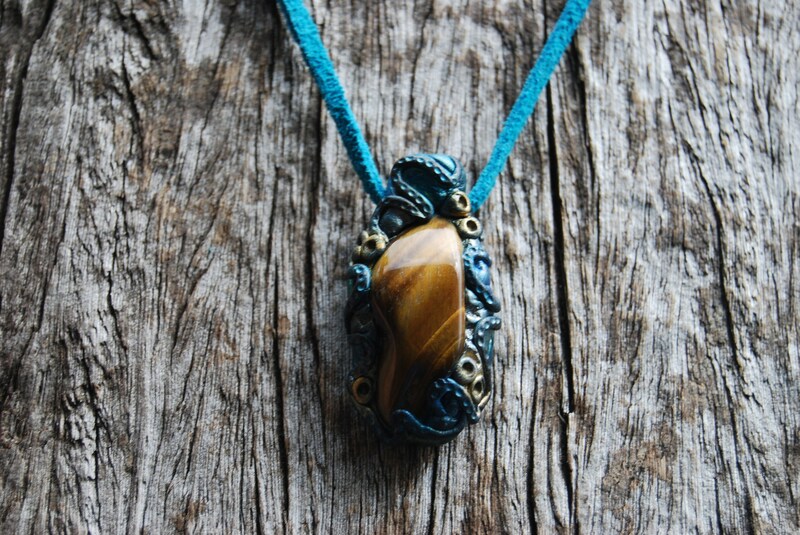 Size of pendant is approx. 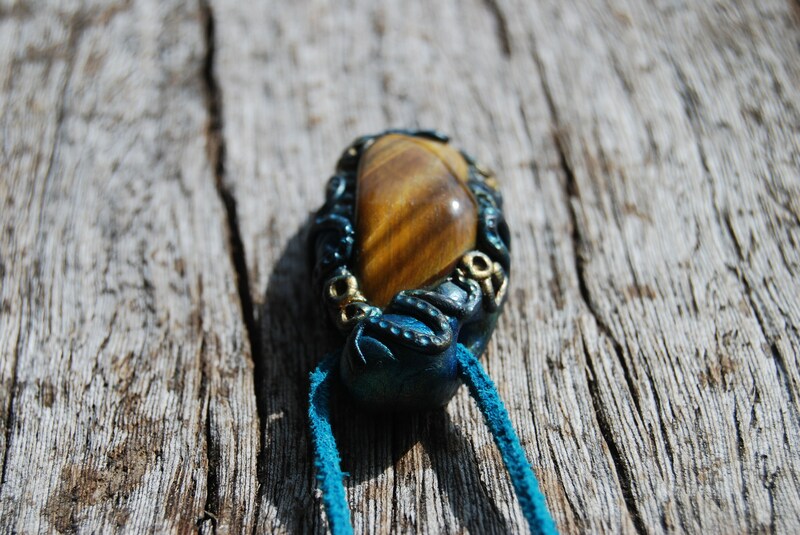 5 cm / 2 inches from top to bottom. 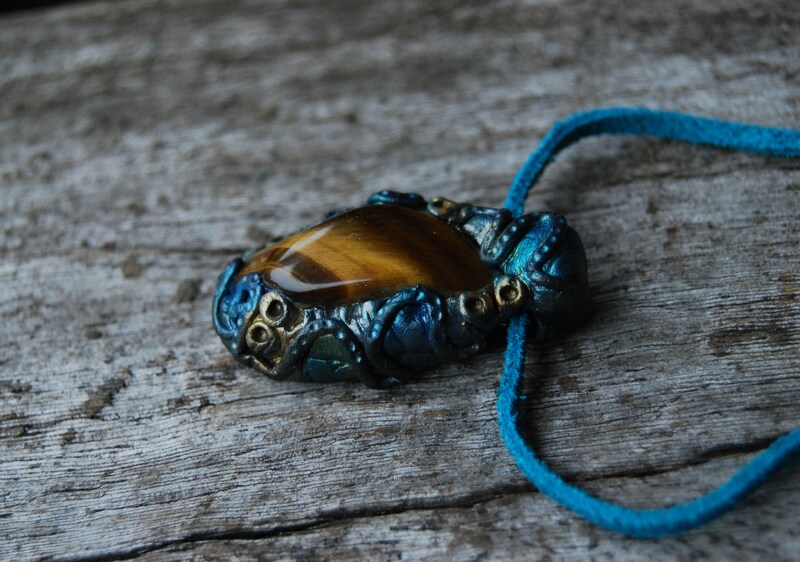 FREE Shipping WORLDWIDE 🚀🌍 .